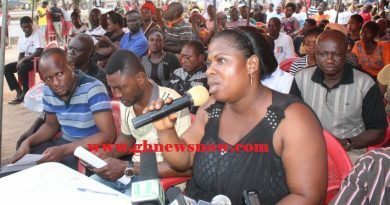 The Ashanti Regional Branch of the New Patriotic Party,(NPP) is basking in renewed energy as the recent feud between the Regional Chairman and the Member of Parliament for Manhyia-North Constituency has been maturely dealt with by party elders. In separate interviews with the Ghanaian Observer Newspaper in Kumasi, the regional chairman, Mr Bernard Antwi-Boasiako and Hon Collins Owusu Amankwah expressed satisfaction at the way party elders have so far helped to resolve the recent feud. Both, in a remarkable manner stressed their willingness to let go any bitterness that had engulfed their minds and hearts after the alleged assault case. They noted their resolve to work assiduously for the party so as to enable the NPP win political power in the upcoming general election. 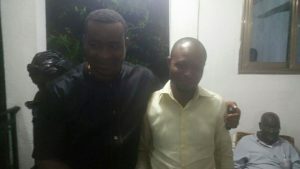 It may be recalled that three days after the recent limited registration exercise had commenced in the Ashanti Region, the Regional Chairman, Bernard Antwi Boasiako was alleged to have assaulted both the Constituency Secretary, Felix Ibrahim and Hon Collins Owusu Amankwah, Member of Parliament for the Manhyia- North. 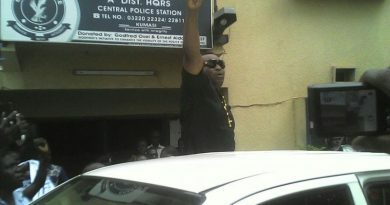 Subsequently, the duo reported a case of assault against the regional chairman at the Tafo-Pankrono Police Station which later resulted in the incarceration of the Chairman as he was officially charged with assault and transferred to the Kumasi Central Police Station to spend a night behind the cells. But, before the case could be heard, both complainants through their legal counsels wrote to the Police to suspend the prosecution of the case though the Chairman had been charged and being sent to court. Later the court chaired by His Honor Korkor Owusu Achiaw granted the regional chairman bail in the sum of GHC20,000.00 with two sureties. The judge also agreed to an out of court settlement by the parties and requested the two legal teams with their representatives appear before him in June 1 to brief him about the outcome of the settlement. Armed with this avenue for peaceful resolution, Mr Akenteng Appiah Menkah, Ashanti Regional NPP Council of Elders Chairman engineered a meeting between the parties to resolve the feud. Intelligence picked up by the paper indicated a fruitful discussion and an amicable settlement of the matters raised at the residence of the party elder. Meanwhile, a joint statement would soon be signed and its terms of agreement read to the public by counsels of both parties. A road map for the conduct of the much postponed primaries in the Manhyia-North Constituency was discussed and plans were at an advanced stage to have the primaries by close of this month. 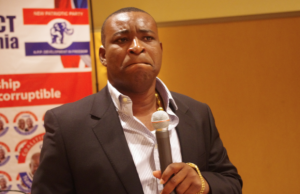 In an exclusive chat with the paper last Tuesday, Chairman Boasiako a.k.a ‘Wontumi’ confirmed the meeting and said all issues had been resolved pending a public statement by the legal teams. He, however, intimated his desire to work with all the party’s parliamentary aspirants so as to win all the 47 seats in the Ashanti Region for the NPP. Speaking from Holland whiles attending the Commonwealth Youth Parliament Meeting, the president of the group and incumbent Member of Parliament for Manhyia- North, Hon Collins Owusu Amankwah admitted the truce brokered by Mr Appiah Menkah, adding ‘it was a laudable initiative’. He therefore pledged to respect the terms of the meeting and work with the Regional Chairman to ensure the party retains the Manhyia-North parliamentary seat as well as garner enough votes to propel the party’s flag-bearer to reclaim political power for the NPP.